Good things come in small packages, yes? 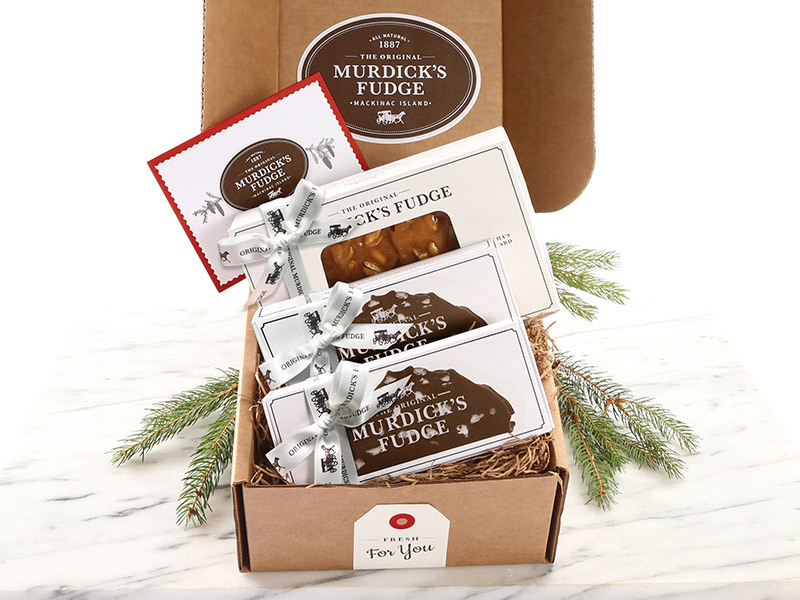 This mini sampling of Original Murdick’s Fudge signature products — Mackinac Island fudge (choose two varieties from 14 flavors) and brittle (choose 12 ounces of cashew or peanut) — gives gift recipients a taste of what Original Murdick’s Fudge old-fashioned recipes are all about. Delish!